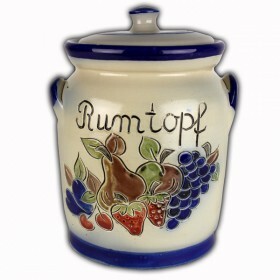 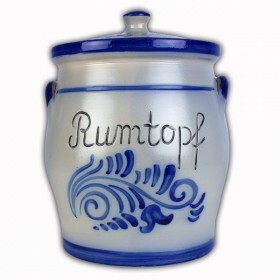 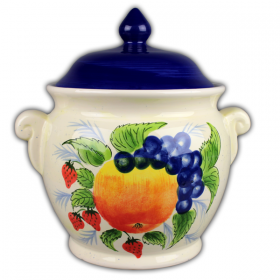 A beautiful 3 litre salt glazed ceramic rumtopf.Hand painted with a blue pattern and the word Rumtop..
A handmade salt glazed 3 litre rumtopf with hand painted pictures of fruit on the front. 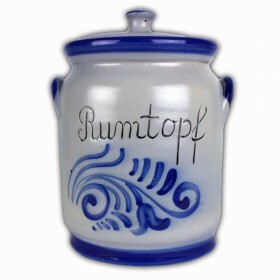 Bei..
A beautiful 4 litre salt glazed ceramic rumtopf.Hand painted with a blue pattern and the word Rumtop..
A handmade salt glazed 4 litre rumtopf with hand painted pictures of fruit on the front. 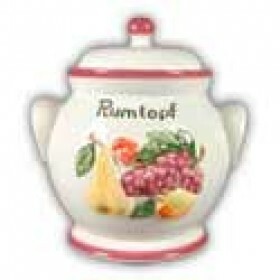 Being ha..